It’s here! Or nearly here, depending on the time you’re reading this. 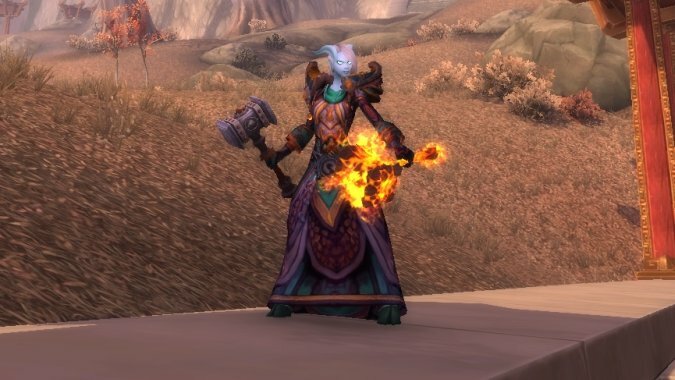 While patch 7.0 is not the same as Legion, it does have all of the systems that you’ll be using in Legion, and that means Enhancement is undergoing some minor changes. By “minor” I of course mean that our entire rotation is different, many if not all of our abilities work differently, and our resource generation is different. So, you know, minor changes. 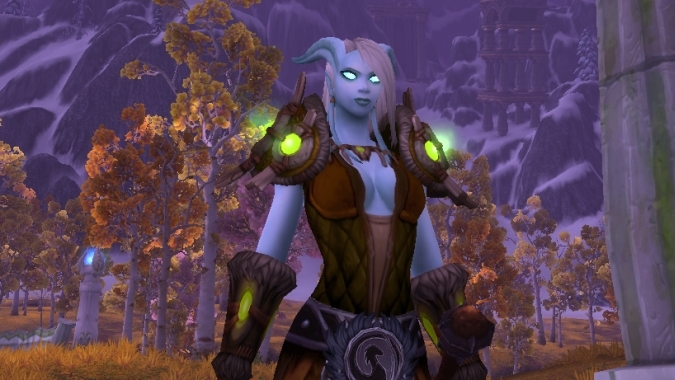 In actual play, Enhancement feels better to me than it’s felt in quite some time, but it can still feel new and unfamiliar if you’re jumping back into the spec or if you haven’t been playing on the beta. 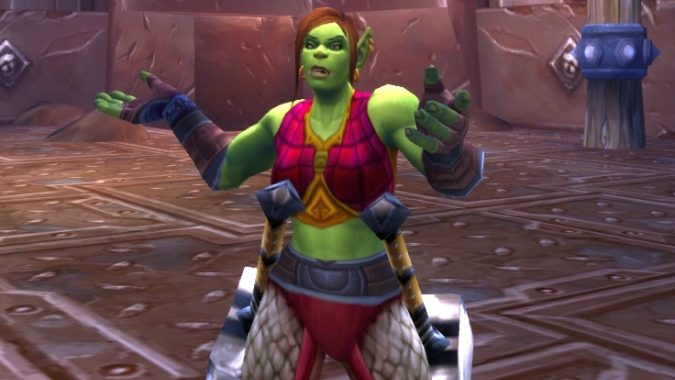 So here’s a quick rundown on Enhancement Shaman talents and changes — what your rotation will look like, how your abilities will work, and what sort of talents you’ll want to pick up when the maintenance is done and the patch is live in the wild. Rockbiter: This is our basic resource-building ability, and as such you’re going to be hitting it whenever you have no more pressing buttons to hit. Normally, it has no cooldown, so you can hammer this as quickly as possible to build up your Maelstrom. In practice, you’ll be using it as filler most of the time, barring particular talent arrangements; it’ll be hit consistently but not constantly. Flametongue: Enhances your weapons with flame damage for 16 seconds with a shorter cooldown; the functional upshot is that you can always have the Flametongue effect up on your weapons. This used to be a resource builder as well, but now it’s just an attack that you’ll hit whenever the buff starts to wear off. It can also trigger our Stormlash passive effect to enhance our party members and others. Stormstrike: This has become your main impact ability, dealing heavy damage. There’s a natural chance for you to proc Stormstrike for no cooldown and half the Maelstrom cost with each main-hand attack. Use this ability every time it’s off cooldown, and use it as soon as possible if you get the proc. Lava Lash: A Maelstrom dump. Lava Lash, at this point, should only be used if Stormstrike is on cooldown and you have the Maelstrom built up to make use of it; Stormstrike is in every way your higher priority. Still, it’s useful when you’re chaining together a number of Maelstrom-boosting effects. Crash Lightning: Your core AoE ability, Crash Lightning deal conal damage, enhances your weapons (another Stormlash trigger), and turns both Stormstrike and Lava Lash into AoE abilities. Use it whenever you’re hitting two or more targets at once when the buff starts to wear off; Stormstrike and Lava Lash provide better damage while the Crash Lightning enhancement is active. Feral Spirit: The main damage cooldown you have, this will bring out pets and generate a lot of Maelstrom in short order. Use it when it’s up and get ready to spend a lot of resources quickly. Astral Shift: Our main defensive cooldown offers a 40% reduction on damage for 8 seconds, enough to weather particularly nasty AoEs or attacks we otherwise have to deal with. No rider about use while stunned or incapacitated, though, so it’s less helpful in PvP. Healing Surge: This ability works a bit differently than it has in the past; it costs no resources by itself, but if you have at least 20 Maelstrom, it will consume that and become an instant cast. A useful survival tool with some flexibility, especially when soloing. Stormlash: Passively has a chance to buff the damage of party members when your weapons are enhanced. No, sadly, we don’t have our totem forts back, but we get to be the totems now. Lightning Bolt: Still there, free, and without a cast time; it’s mostly a pulling tool or something to hit when you have to be at range rather than a major part of our rotation at this point, but it’s worth keeping in mind for certain situations. So what will your rotation look like? On single targets, you’ll probably want to open with Flametongue, then build with Rockbiter, unleashing Stormstrikes and Lava Lashes as often as possible, with Feral Spirits used as often as it’s available. AoE situations will have the same opener, but you’ll want to weave in Crash Lightning before you start in on Stormstrike/Lava Lash spam, since you want that additional AoE damage. This will be affected somewhat by your talent choice, as one of your tiers deals heavily with area damage. What you have to understand about talents is that a lot of things change once the Artifact enters the mix, which means that any recommendations now are recommendations now. The evaluation of Tier 1 changes significantly when Doomhammer is considered. But that’s in August, and this is now. It’s also important to note that a lot of the Enhancement talents wind up tweaking your playstyle significantly, so I’ve generally been looking toward the ones that don’t, simply so you can start to understand the new rotation first. So where should you start with your talents? My recommendation is here, with explanation to follow. Level 15 Boulderfist is kind of the obvious choice here; in exchange for a (very) slight cooldown on your primary resource builder, you get another weapon enhancement and a steady damage/critical strike buff. 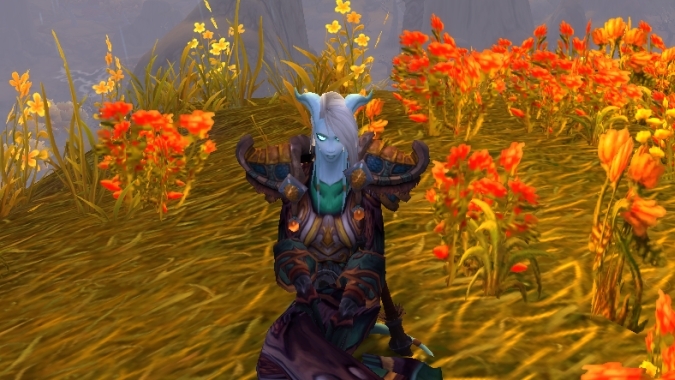 Windsong is a solid second place, but it just isn’t going to have the same degree of potency in the current environment, even though that attack speed buff is nice. Go for Windsong if you feel like you’re hitting too few buttons and Boulderfist otherwise. Level 30 Rainfall is super useful for solo survival and group utility; it’s probably your best pick and the closest you’ll get to spreading around some healing love to your party. Extending the duration is pretty much automatic, so you can place the effect and forget it while in melee range. Level 45 I’m very fond of the AoE CC effect that Voodoo Totem offers and highly recommend it for handling crowds of enemies; the other options are much more PvP focused and more specialized. You still won’t be dropping that totem too often, but it’s a fun effect when you do. Level 60 Lightning Shield is my preferred choice here; it’s back to working as an offensive ability rather than a purely defensive one, and it’s a solid passive option. Ancestral Swiftness is more likely to provide you with more haste than you need, but consider it if your gear is a bit on the lower end. Level 75 Tempest is probably your best bet for right now, just because it’s the best tool for growing accustomed to your new rotation and for chaining out more Stormstrikes. It’s a solid talent regardless, but it’s easier to learn the rotation as it stands rather than trying to add in Lightning Bolt as another big punch. Level 90 Crashing Storm is pretty great for enhancing your main AoE ability, even if it’s still nothing like what you may be accustomed to rocking with your current rotation. Of course, all of that is with an eye toward PVE; if you’re more interested in trying up the changes in PVP, I’d recommend a spec more like this. That adds in many more snaring options as well as making Overcharge into more of an option than your necessary big punch; it’s nice to be able to snipe down a runner with a super-charged Lightning Bolt. 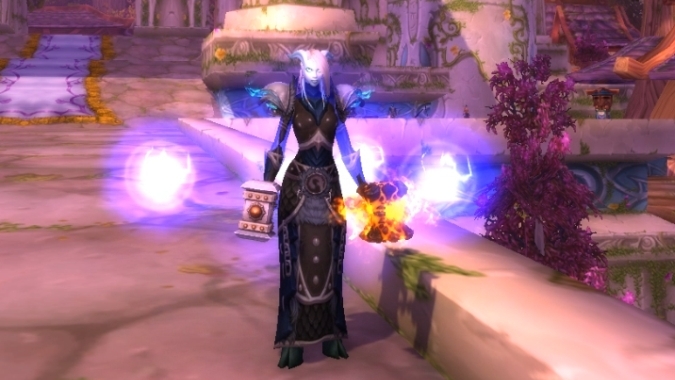 Enhancement is going to feel very different for anyone who has grown accustomed to and/or fond of the AoE-heavy spec that it has been all through Warlords. Rather than rocking out with spreading debuffs and explosions, we’re back to a series of rapid melee strikes and hoping for procs. 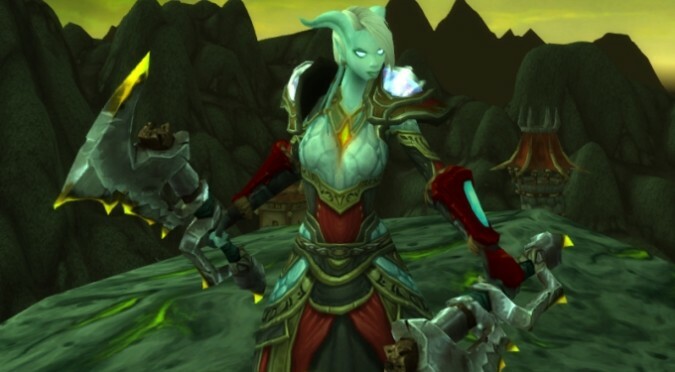 So it’ll be more familiar to veteran Enhancement players, or those who had put the spec down around Cataclysm and hadn’t thought about it in too much depth subsequently. There’s going to definitely be an adaptation period, and there are going to be times when you want to swap up your talents and try something else out. Thankfully, the current setup encourages that gameplay. A lot of the moving parts have changed, but the core of the spec is still hitting hard and fast with a flurry of melee strikes. You’ll just need to adapt to new particulars.